The Family Office Club is the largest association in the family office wealth management industry with 80,000+ current members. Since 2007, the Family Office Club has been working with family offices by helping then create family offices, find talent for their team, explore co-investment opportunities, and emulate best practices of $1B+ seasoned veterans of the space. Our global team of thirty professionals are dedicated to expanding and improving our training and research efforts. Bundesverband Deutscher Kapitalbeteiligungsgesellschaften – the German Private Equity and Venture Capital Association (BVK) is the representative of the German private equity industry covering private equity firms, from venture capital through growth capital to buyouts, as well as institutional investors (LPs). BVK has more than 190 full and more than 100 associated members. It is the mission of the BVK to create best possible environmental conditions for the industry in Germany. This requires improving tax and legal environmental conditions for private equity in Germany in dialogue with political and administrative decision-makers, facilitating the access to capital sources, surveying the markets and analyzing market trends, and supporting our members in exchanging their experience. The Finnish Venture Capital Association was established in 1990. The actual members of the association are entities acting in the Finnish private equity and venture capital markets. FVCA accepts as its associate members communities or private individuals who play a part in the development of the industry in Finland. The number of members at the moment is 61 full and 43 associate members. The goal of FVCA is to develop private equity and venture capital as an industry and promote the interests of its members in Finland. FVCA improves the operating environment of the industry by overseeing the general interests and ethics of the industry, by promoting the relations between venture capitalists and entrepreneurs, and by organizing research activities. FVCA also handles the industry’s public relations and foreign contacts. In addition, the association publishes approved guidelines and a code of conduct regarding the industry. FVCA is a member of the Invest Europe. The Russian Venture Capital Association (RVCA) is the first such professional organization in Russia bringing together representatives of private equity (PE) and venture capital (VC) funds. RVCA activities are aimed at promoting the Russian PE and VC market formation, enhancing innovation and facilitating growth of Russia’s economic sector. RVCA works towards the creation of political and entrepreneurial climate favorable for investment activities in Russia. It represents the interests of industry professionals at executive and legislative bodies, in the media as well as within financial and industrial circles in Russia and abroad. RVCA provides information and communication support to Russian PE and VC market participants and contributes to the development of educational systems designed to prepare senior managers for venture capital entrepreneurship. The Swiss Private Equity & Corporate Finance Association (SECA) is the representative body for Switzerland‘s private equity, venture capital and corporate finance industries. SECA has the objective to promote private equity and corporate finance activities in Switzerland. Private Equity refers to equity investments in privately held, non-quoted companies (“Beteiligungsfinanzierungen”). Corporate Finance Services are advisory services related to mergers, acquisitions, buyouts and the financing of companies. The Swiss Finance + Technology Association is the leading FinTech hub in Switzerland. As a neutral, inclusive, and non-profit association, the SFTA is the main FinTech network for our 600 members; a diverse group of entrepreneurs, professionals, investors, and policymakers. We strive to make Switzerland a leading global FinTech hub by supporting the Swiss FinTech ecosystem locally and internationally by organizing high-quality, relevant events, authoring innovative reports and blogs, providing advocacy on important public policy issues, arranging mentorship opportunities within our network, and constantly promoting our members through social media. We believe that Switzerland has the human capital and infrastructure available to make our country a global FinTech powerhouse and the SFTA continues to work toward that goal. 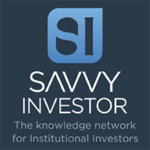 Savvy Investor is a new professional network with a focus on providing access to the best pensions and investment white papers and articles, news and blogs from around the web. The site has proved an instant hit with institutional investors, gaining over 12,000 members since launching last year – mainly pension funds, asset managers and investment consultants, including a high number of CIOs and CEOs. AustrianStartups is a neutral, independent and non-profit platform of, by, and for the Austrian startup community to increase its visibility and to strengthen the entrepreneurial ecosystem. It is an open place for all startups, stakeholders, and interested parties who are encouraged to launch joint initiatives. AustrianStartups manages the biggest database of Austrian startups and startup services offering in-depth, practical information and resources to help entrepreneurs kick-start their businesses. It serves as a voice of entrepreneurs in Austria and as a hub connecting creative minds with driven, visionary individuals. ans the full lifecycle of M&A, PE and VC transactions, along with the firms and professionals involved, making it easy for clients to access critical data, understand it and use it to inform their decisions. Investments can be classified (as are products on eBay), and you can specify your supply or demand and give other users the opportunity to search for investments according to given relevant criteria for the investment process. Additionally, you can make a request for proposal (RFP) within the given criteria, and potential suppliers can state which kind of RFP they are willing to respond. Established in 2007, DubaiBeat.com provides insight, analysis and research on private investments in the Middle East, covering Private Equity, Venture Capital, Hedge Funds, Institutional Investors and Sovereign Wealth Funds activities in the Middle East and broader MENA region. Its products like Directory of Investors in the Middle East are widely used as reliable sources on information about investors in the Middle East. DubaiBeat.com works closely with different organizations like The Economist Group, Super Return Conferences, Institutional Investor group, MEED, Latin Finance, etc. as a trusted media partner with niche contacts from investment community in the Middle East and beyond. It has been an official media partner of events like Super Return MENA, The Economist Group World in 2009, MEED Mergers & Acquisitions 2009, UAE Global investment forum, etc. Absolut|report has been launched in 2001 and is now the leading independent publication for institutional investors in Germany, Austria and Switzerland. Covering all topics of interest to institutional investors Absolut|report focuses on innovations and new developments for the institutional asset management industry. Investment strategies in all asset classes, along with risk management, legal and taxation aspects are provided by science and industry experts. In combination with Absolut|performance, our web platform and our professional approach, we provide direct access to institutional investors’ decision makers through our outstanding quality and prestigious platform. Absolut|report, Absolut|performance are, like all our publications, available through an annual subscription. We will be pleased to provide you with further details. EUREKA is a leading open platform for international cooperation in innovation. It is present in over 40 countries and remains to this day the only initiative of its kind committed to the ‘bottom-up’principle – ensuring that any R&D project with a good business plan receives the support it deserves, independent of its technological nature, or the type of organisations involved. Watch our 30 years anniversary video, you will see how EUREKA impacts your everyday life. Jaaz Portal Ltd is a UK-based software house dedicated to the creation of software solutions to Data Centres across the globe. It is a sister company of its Polish branch established in 1998 in Warsaw. 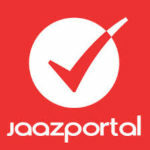 Jaaz Portal Ltd offers cost-effective solutions with minimal outlay. Since March 2017, it has focused on developing its flagship project, the Jaaz Portal, a highly integrated automated web hosting solution for average users of social networks and bloggers. The Swiss Entrepreneurs Magazine is an English Magazine that celebrates, inspires and showcases Swiss Entrepreneurs, their startup companies and small businesses. The Swiss Entrepreneurs Magazine encourages and enables Entreprenuers to introduce their products and services to the consumers in a more detailed, intense, market-driven and personal way. The Magazine focuses on local Swiss Entrepreneurs and the companies they created. Available in English, the Magazine can be purchased at a Kiosk, International Airports and select outlets.